Sometimes (OK, at least once a week) I like to skip lunch and hunt for treasures at the Goodwill near my office. The other day when I spotted this bowl for three bucks, I scooped it up thinking, "Excellent, a mod serving dish!' But when I got home, I realized the bowl was pretty scratched up and wouldn't be a good serving piece. 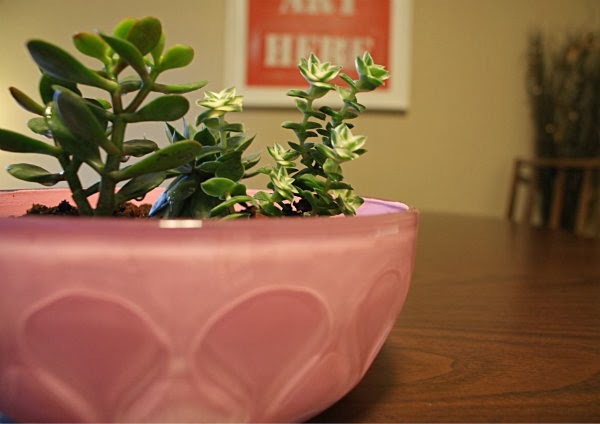 Then I recalled a project from one of my favorite blogs, Little Green Notebook, where Jenny painted the inside of an inexpensive bowl with acrylic paint and used it as a planter. Eureka! Part of my dining room plan called for a terrarium, but this is way more fun. I was leaning towards pink, but I purchased champagne gold paint as well. Upon Jesse's suggestion, I tried the gold first; but after applying a thin coat, I knew it wasn't right. So, I washed it out and tried the pink which I absolutely love. I tried the hardware store for succulents, but they didn't have much. So I made a trip to my favorite nursery, which was good because as it turns out there is a special potting mix for succulents. With my black thumb, I can use all the help I can get. 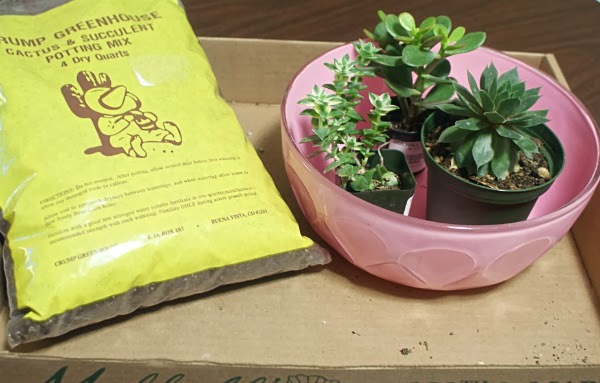 Seriously, if these plants make it though the holidays it will be a Christmas Miracle! I love the curvy mod shapes combined with the pink and the dessert plants; a little Palm Springs Kitsch to get us through the winter! Post shared at Thursday STYLE Link Party on Life in Velvet. This is so cool! 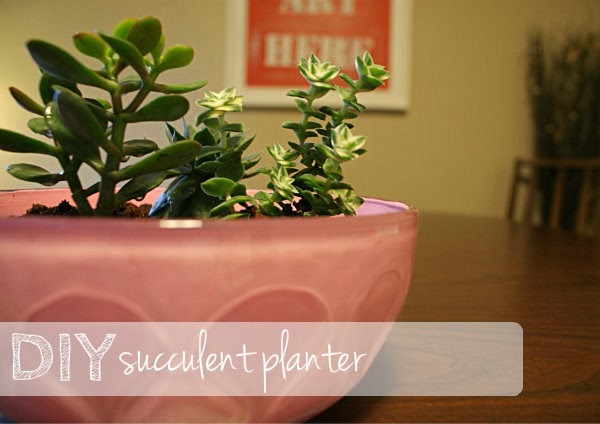 I LOVE your succulent garden! 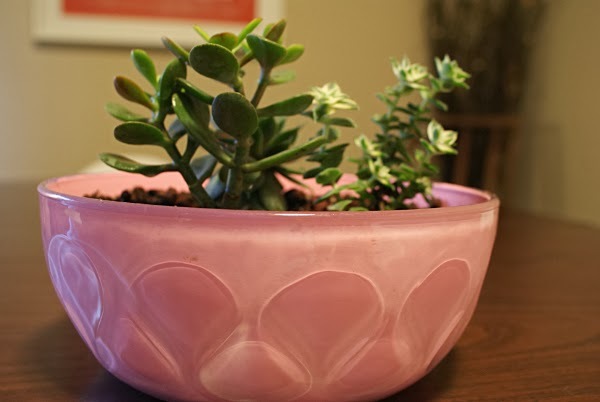 Such a cute pink planter! Fingers crossed for you that they live a very long time :) I have an incurable black thumb, so I can sympathize! Hi Angela! Thank you so much for your kind words. Sadly, one of the three plants has already kicked the bucket, LOL. I really am trying, I think I'm just hopeless in the plant department! Seriously, I am enjoying all of your projects!